It goes by many names. 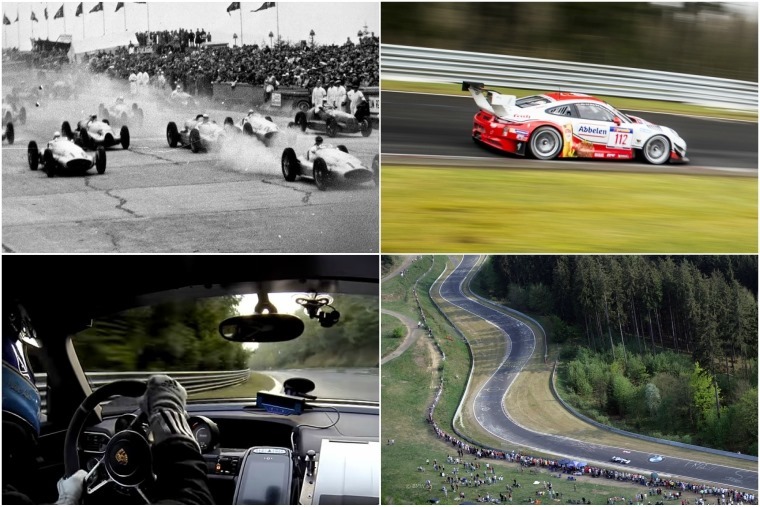 Nurburgring, Nordschleife, the Ring… or as Formula One’s Sir Jackie Stewart soberly put it – the Green Hell. Whatever you call it, if you’re into cars you’ll certainly know what it is – 12.9 miles of twisting tarmac in the middle of Germany’s Eifel forest. There’s no other racetrack quite like it in the world. Like the autobahns, the Nurburgring has come to symbolise German dominance and superiority in the automotive field. The ultimate test of man and machine, the circuit tops the bucket lists of many a would-be racing driver. It’s also become the proving ground of choice for manufacturers looking to perfect their performance cars. 1. 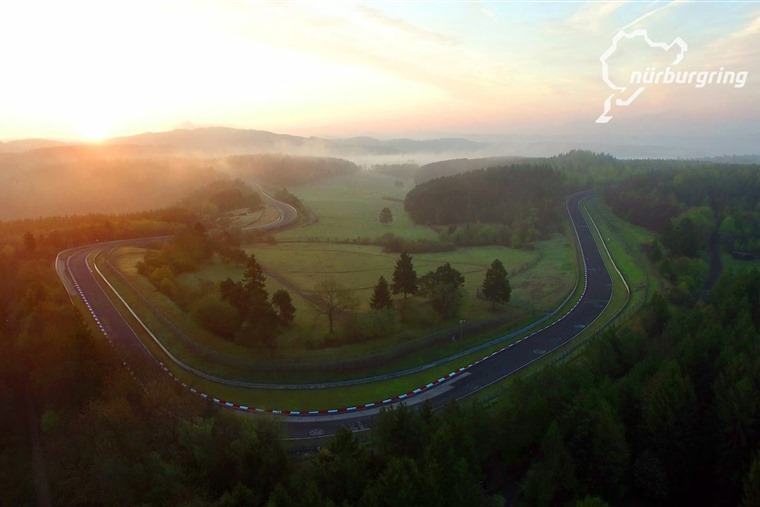 It is actually made up of two circuits – the 20.8km Nordschleife (Northern loop) and the 4.5km GP circuit. 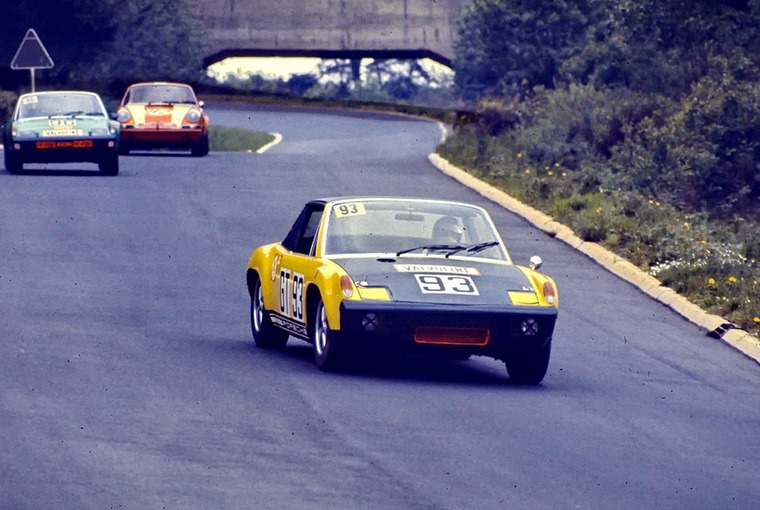 The latter came into use in the 80s and replaced the little-used Sudschliefe (Southern Loop) after the original Nordschleife was deemed too dangerous for Formula One. 2. It’s not just the technicality of the circuit that make it a challenge; the length and surrounding landscape mean it can quite literally be gloriously sunny on one side of the circuit, and pouring with rain on the other. 3. When not hosting a race event or test day, the Nurburgring is a toll road open to members of the public. A Touristfahrten lap will cost you €25 or €30 depending when you visit. 4. As a public toll, German rules of the road still apply – you can’t overtake on the right, and some sections of the track are subject to speed limits. 5. If you crash it could cost more than just your pride – damaged armco barriers are chargeable at 10 euros a metre, while the attendance of a recovery vehicle costs from €600! Built between 1925 and 1927 to generate jobs during Germany’s bleak interwar years, more than 25,000 workers were involved in its construction. It wasn’t just built to alleviate unemployment though. The aim was to create a circuit that would push cars and drivers to their absolute limits – something it has been successful in doing ever since. It’s one of the most technically challenging circuits in the world, playing host to the German Grand Prix more than 40 times. Niki Lauda’s infamous fiery crash in 1976 marked an end of F1 on the gruelling Nordschleife, and since 1981 it has been held on the new GP circuit. 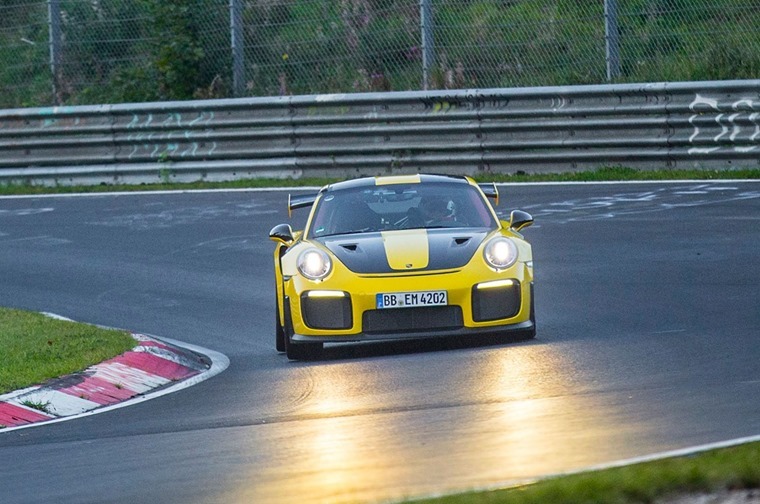 While F1 is off the cards, the Nordschleife has become the place to be if you want to develop a seriously quick car. It’s one of the best places that engineers can test the reliability and drivability of new vehicles too. For high-performance models, a record-smashing lap time isn’t a bad bit of PR, either. In fact as lap records go, it’s the only one that really matters for car makers. The sheer number of OEMs with permanent bases in the track’s vicinity speaks volumes. Aston. BMW. Ford. They’re all here. In recent years even Hyundai has got in on the act, developing its all-new and highly praised i30N hot hatch here. In fact the Korean brand actually has one of the most modern facilities at the track. Since the battle of the hot hatches kicked off in the 1980s, they’ve been trying to outdo each other at the Ring. Obviously they’ll never put in the same kind of times as supercars, but they do stand a chance of taking another accolade – the fastest front-wheel drive lap. It’s no surprise then, that the FWD scoreboard is made up almost entirely of hot hatchbacks. 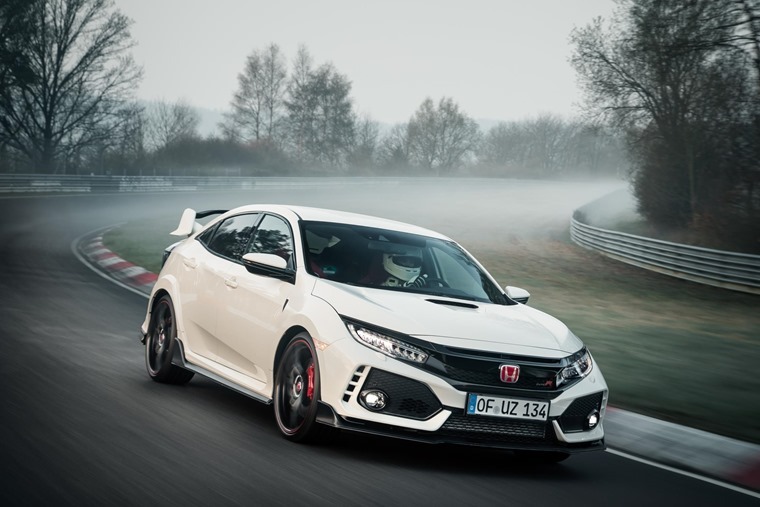 Until last year, it was the Golf GTI in Clusbsport S guise that held the record, but the all-new Civic Type R smashed it yet again earlier this year, putting in a time of 7:43.8s. 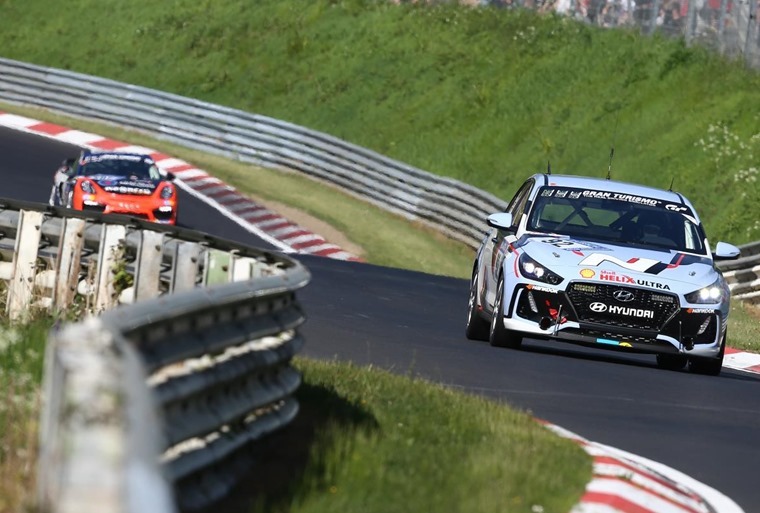 It seems not even the Nurburgring is immune from the ever-growing popularity of SUVs and, while they’re designed with the school run in mind rather than the Schwalbenschwanz, car makers have started putting these beasts of burden round the ‘ring. Porsche was first up with its Cayenne, but the Bavarian brand’s SUV was blown out the water by Alfa Romeo’s Stelvio Quadrifoglio, that managed to blast round in 7:51.7s. A little-heard of electric car called the NIO EP9 smashed the record once again, completing the Nordshliefe in 6:45.9s. Admittedly, it was using special track tyres, so it’s questionable whether it belongs in the number one spot. It’s worth bearing in mind that none of these results are official, and various sources have different rules on what constitutes a ‘road legal’ production car. Here’s a compilation of the best fails of 2017. There’s nothing to stop you taking on the ring yourself (check your insurance and lease agreements though). We think a better bet would be one of the many Ring Taxis that are available. You can get a ride in a BMW M3 as a passenger with a professional racing driver. This allows you to experience the ring in a much faster – and safer manner – than you would if you were driving yourself. If you really want a slice of the Nurburgring action, how about leasing one of the record-smashing cars? We’ve put together a list of the top five fastest cars round the ring… that you can actually lease. * All figures correct at time of writing.